Okey dokey, this is my first ever post on this blog (*Cue glitter cannons and spontaneous combustion*) and I’m kind of nervous about the fact that I’m writing something that other real, live, breathing humans can read. Also, the music that I’m listening to is kind of dramatic/tense/awesome which probably doesn’t help. Moving on! 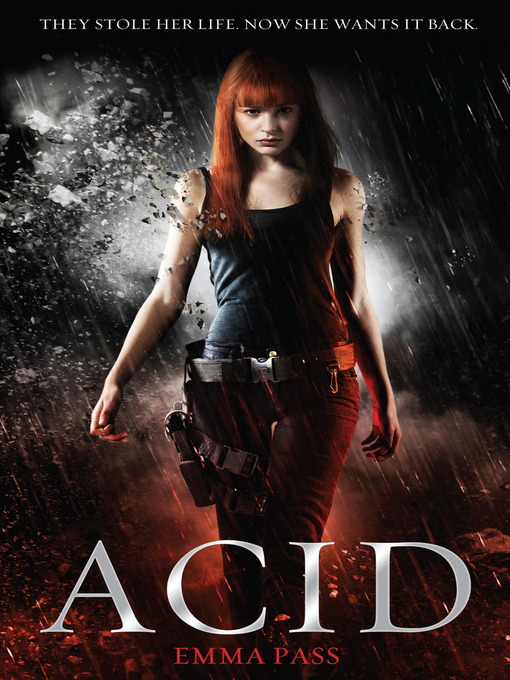 I’m going to review ‘Acid’ by Emma Pass, which I read quite recently. 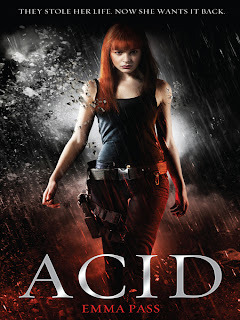 It’s the year 2113 and Jenna Strong lives in a world beaten into shape by ACID, the most brutal, ruthless and controlling police force in the history of the former United Kingdom. Careless comments can cost you your freedom. Hugging someone who is not your assigned LifePartner can put you behind bars. Murder means a life in Mileway, an intensely violent high security prison in London- the place that Jenna’s story starts. Convicted for the murder of her parents two years ago, Jenna has learnt to keep her mouth shut and her wits about her if she wants to survive, especially when dealing with the routine rowdy prisoners and riots. But Jenna’s world shifts dramatically once again when a member of a mysterious rebel group with questionable intent breaks her out of jail. With tense times ahead, Jenna must use her smarts, her skill and her heart to help her uncover the truth that her world has hidden from her. Firstly, I would just like to say that ‘ACID’ left has left a bigger impression on me than I thought possible. It was one of those really twisty novels with a generous helping of sharp, sudden shocks at points in the plot that left me reeling and generally dumbstruck. I must confess that I seriously underestimated how much I would enjoy it when I bought it and one thing I completely loved about it was that it was a standalone novel, which makes a real change in the YA genre. Secondly, I don’t think that I’d survive for more than a few minutes in a world ruled by ACID. For starters, they have no internet *Faints* They have none of that fundamental and invisible substance that I live and breathe (That would be the great and mighty Wi-Fi). If that’s not bad enough already, reading material is strictly controlled by ACID *Gasps and flails* No tantalising twists in plots, no characters worthy of a good fangirl attack and everything is violence-free and ends with a happy ever after, which is just plain boring. One thing that I didn’t like as much about the book was Jenna herself. I found her to be one of those tough-guy girls that seems a bit detached from human emotions. I understand that sometimes circumstances around us can make us grow up faster, but it just grated on me that she seemed a bit like a robot at times. However, and this is a bit of a contradiction, Jenna did fall in love. With the first attractive guy that she laid eyes on. And continued to harp on about her love for him for quite a while afterwards. On that front, maybe she was a bit too emotional. I've um-ing and ar-ing over whether or not to read this, but I think i'll give it a go.